SALON VIM: Mythic Oil Treatment Rituals - . This is one of my biggest decision made after so long. I love my long hair a lot but not the dry ends. As you can tell from the picture above, my hair is very very very dry. It very hard to managed especially on bad-hair days. Just feel like chop it off! 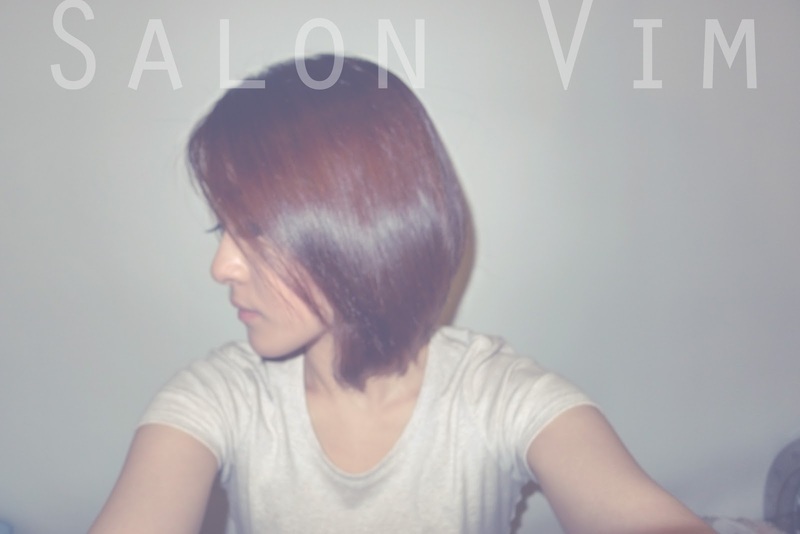 Made my way down to Salon Vim at Somerset 313. Tell me that i'm brave! I told my stylist, Ymond that i really want those dry ends to go. As usual i had my hair washed first then the hair cut. Trust me, my heart skip a beat when he cut my hair. I was quite sad because i have to kiss goodbye to my long hair. I mean after keeping my hair long for so long. But i'm more to happy to see my new hair cut. I have natural wavy hair so did a soft rebonding for easy to manage hair. Then move onto treatment. Introducing Salon Vim's new hair treatment - Mythic Oil Treatment Rituals. A made - to - measure blend of precious oils and sensorial textures gently applied by your hairdresser.Offer your hair personalised nutrition , instant radiance and softness . I have been a big fan of Mythic Hair Oil. Already using the fourth bottle. They have it in treatment. Not just on your hair roots, on your scalp too! Which means treatment for your scalp. They will massage the treatment oil onto you scalp which i think in my own theory, your scalp will adsorb the treatment better. I would highly recommend for people who has really dry hair. Present to you my new hair cut. I am so amazed by the tremendous change of my hair condition. It shine like nobody business and it is as soft as baby's skin. Received a lot of compliment from friends. Thank you Salon Vim and Ymond. They are really amazing friendly people! Remember to mention my name "REIEE" to receive 10%. Hi, how much is the total to cut like this and colour? Thanks!